Whether you’re seeking rest and relaxation, adventure and water sports, or an immersive art experience, Joali has it all! Is it possible to improve paradise? 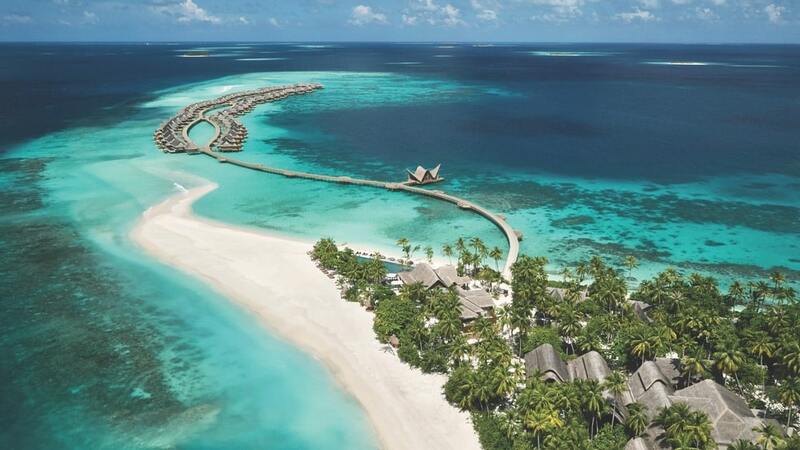 Is it possible to take what is the ultimate vacation fantasy for many people—a deserted island in the Maldives with sand that’s as dazzling, deep, and soft as newly fallen alpine snow—and turn it into a destination that gallops beyond all previous notions of perfection? The answer is yes. 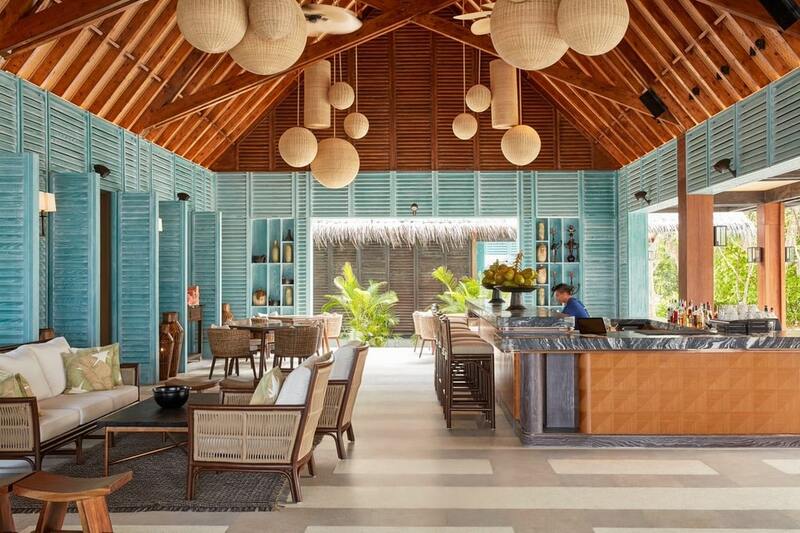 Entrepreneur Esin Güral Argat has done just that at her recently opened Joali on a twenty-four-acre island in the middle of Raa Atoll, just forty-five minutes by seaplane from Malé’s international airport. 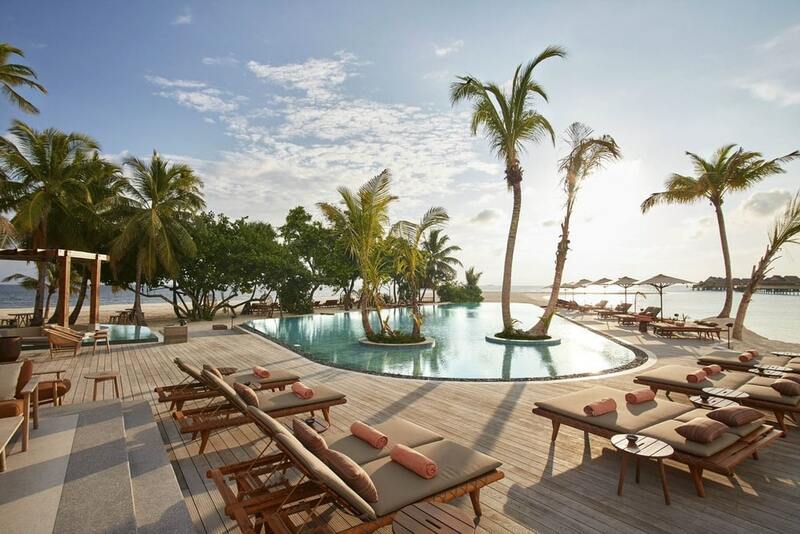 Argat transformed the wild and beautiful isle of Muravandhoo into a luxurious seventy-three-villa resort that’s dedicated to delighting the senses. 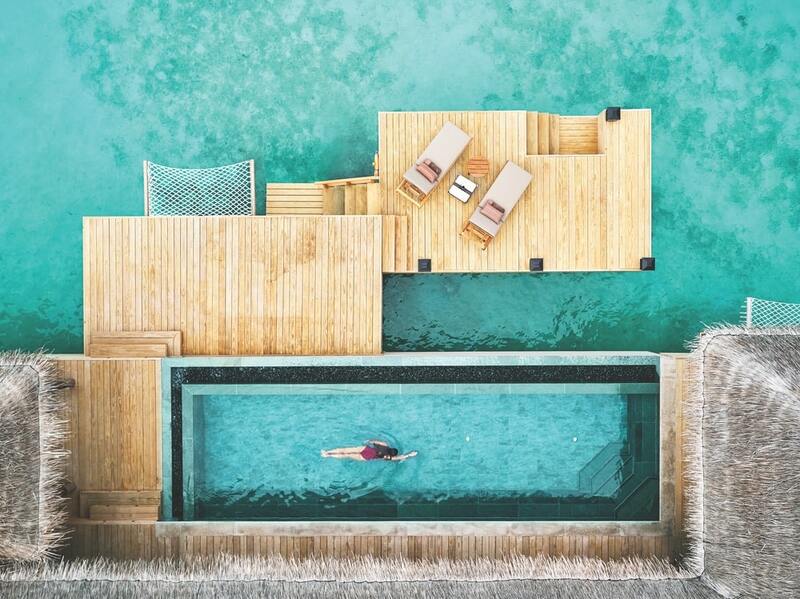 Argat, whose love affair with the Maldives began almost twenty years ago, brought her passions to life at Joali, creating a place that stimulates the mind, invigorates the body, and soothes the soul. The resort’s immersive art experience is the first of its kind in the archipelago. Argat commissioned leading international artists to produce unique pieces for the villas, the art gallery, and the land- and beachscapes. Wherever you look—in the trees, along the shore, even on the seabed—you’ll find works of art that provoke thought or amuse. 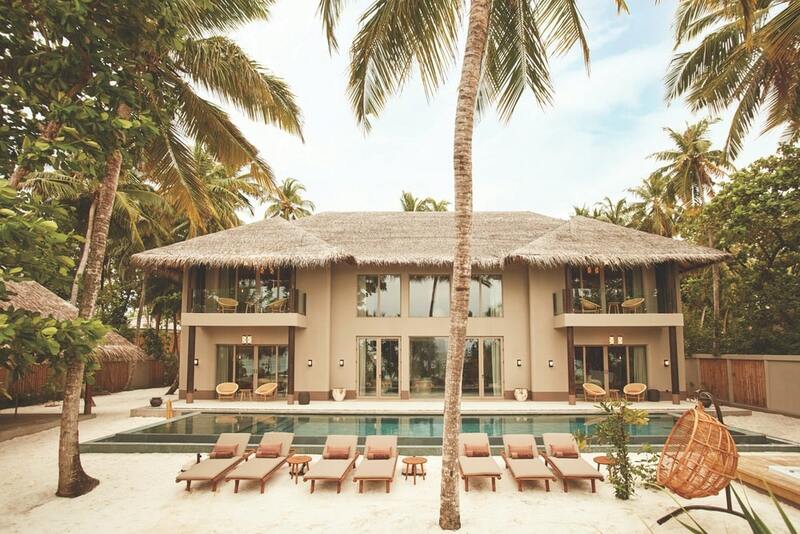 Joali Resort opened in the Maldives in 2018 and includes seventy-three luxuriously furnished private guest villas. A private dinner prepared by Chef Ashley Goddard is a highlight of any stay at Joali, especially if the meal is served in the manta-ray sculptural treehouse designed by artist Porky Hefer. 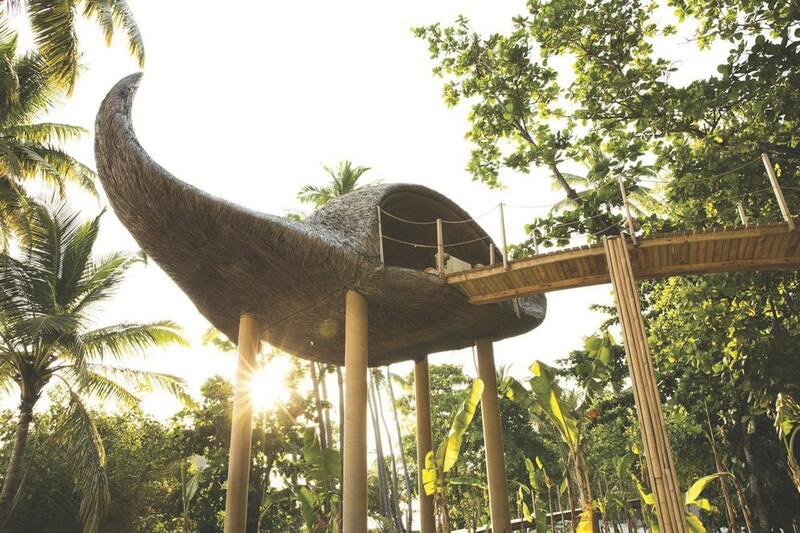 Among the treetops is artist Porky Hefer’s striking manta-ray dining pod that you can reserve for an intimate dinner, and there, facing the Indian Ocean, is his other animal-inspired creation, a heron’s-head hanging nest that beckons you to sneak inside for a postswim nap. Also facing the deep blues of the sea are Misha Kahn’s Gaudi-esque table and stools, which provide the perfect spot for cocktails at sunset. 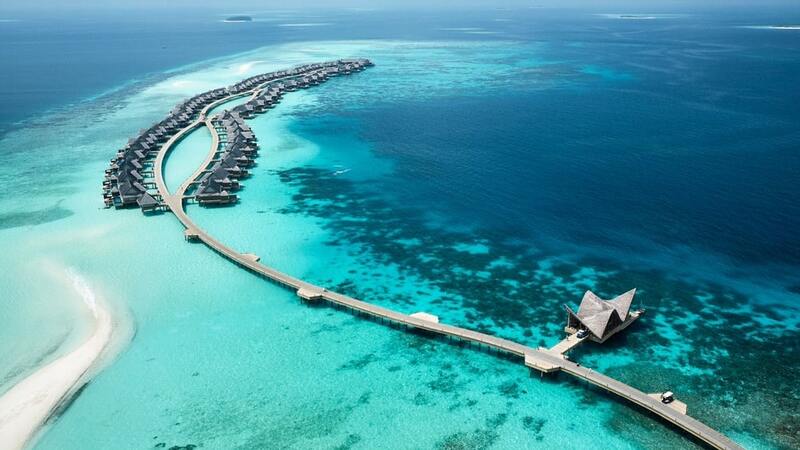 However, it is his underwater sculpture garden that truly makes waves—a statement piece that draws attention to coral bleaching in the Maldives and might eventually become a framework for regenerating coral. 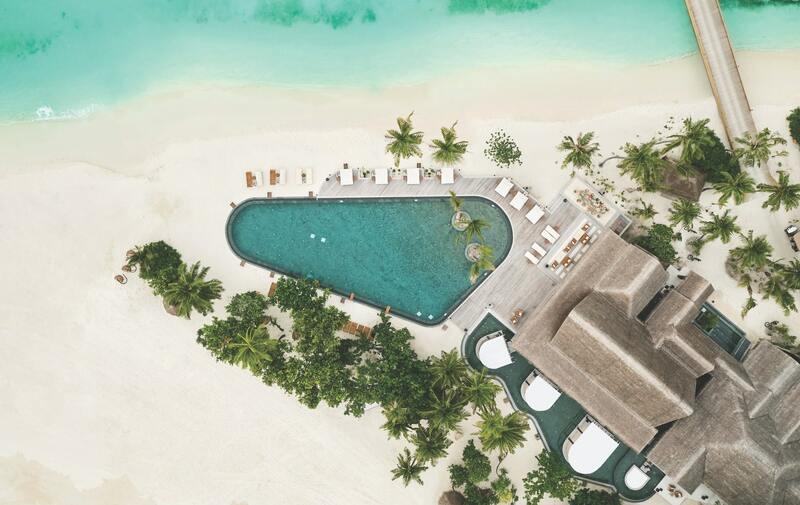 Throughout the resort, the design team has melded traditional Maldivian character and craftsmanship with contemporary flourishes and high-tech wizardry, resulting in an exquisite expression of form and function. What Joali’s art collection does for the mind, its sports facilities do for the body. There’s an excellent gym and every water activity imaginable. You can jet-ski 007-style to a still-deserted island close by or cling gracelessly, as I did, to a bone-shaking minirocket called a Seabob as it lurches this way, that way, and any way except perhaps the direction you’d like to go. I didn’t get the hang of it, but those who did surfaced from the sea exhilarated and wanting more. I emerged with my body, if not my dignity, intact—bearing a closer resemblance to Jemima Puddle-Duck than to James Bond—and laughing my head off. Of course, the key water sport at Joali is snorkeling or diving with the marine life. Raa Atoll, one of the deepest and largest in the archipelago, was badly damaged by El Niño in 2016, and the ghostly vestiges of its once-dazzling, intricately laced corals now lie stricken on the seabed. Thankfully, this has not deterred the myriad species of fish from dancing, darting, flitting, floating, and feeding among the bleached carcasses just a few feet from the shore. You can see them without getting into the water, though the deeper and farther out you go, the more you’ll see, even if you only snorkel. A twenty-minute boat ride from Joali will take you to turtle-feeding stations, but if you want to see one of the most mesmerizing creatures on the planet, the manta ray, try to get to Hanifaru Bay, considered to be the largest manta-feeding station in the world, about thirty miles from the resort. A day on or in the water works up an appetite, and Joali has secured one of the best executive chefs in the hotel business, Ashley Goddard, to lead its kitchens. How he and his team manage to produce such nuanced food when almost all the ingredients have to be flown in is astonishing. At the Bellini restaurant, a house-smoked yellowfin tuna and a prosecco-and-diver-scallop risotto blew me away, while at Saoke the following evening I had the finest Nikkei meal I have ever eaten. For an unforgettable experience, ask your jadugar for one of Joali’s blissful bath-time rituals, which include a tub filled with scented oils that provide nourishment for both the skin and the soul. 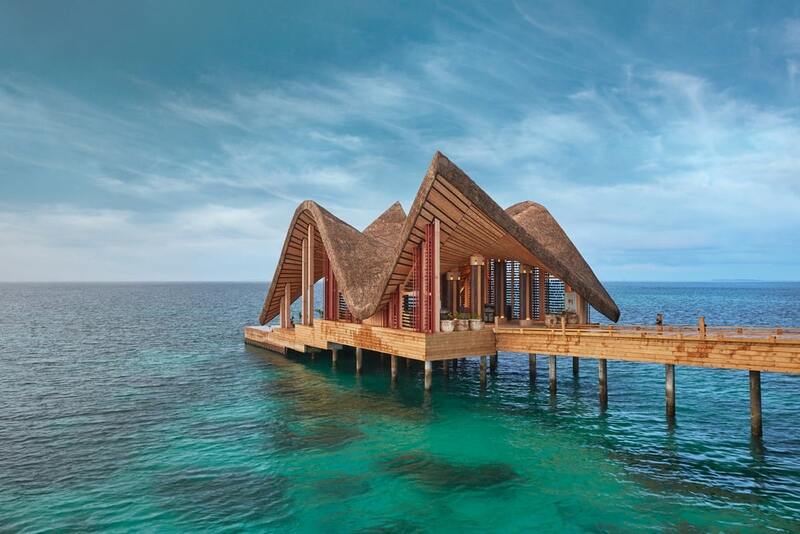 Joali also offers “destination dining,” meaning they can arrange an intimate meal on a deserted island, in your villa, on the beach, or in the manta-ray treehouse. It’s one of the many custom service options that your personal concierge or jadugar (roughly but aptly translated as “magician”) will arrange for you. Argat hired internationally renowned design studio Autoban and Tokyo-based architects Studio Glitt to build Joali. 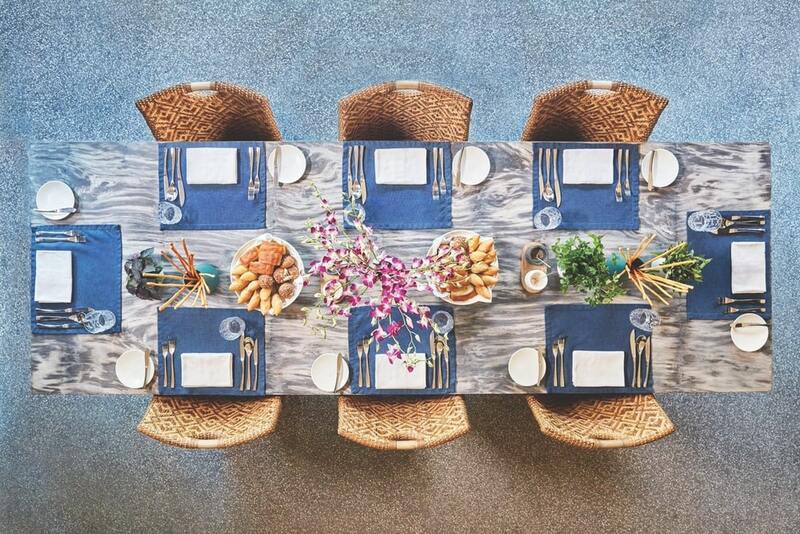 Their combined talents and aesthetics have created a resort that is both glamorous and sophisticated: one that is thoroughly grown-up yet brilliantly geared toward families (it has a superb kids’ club). 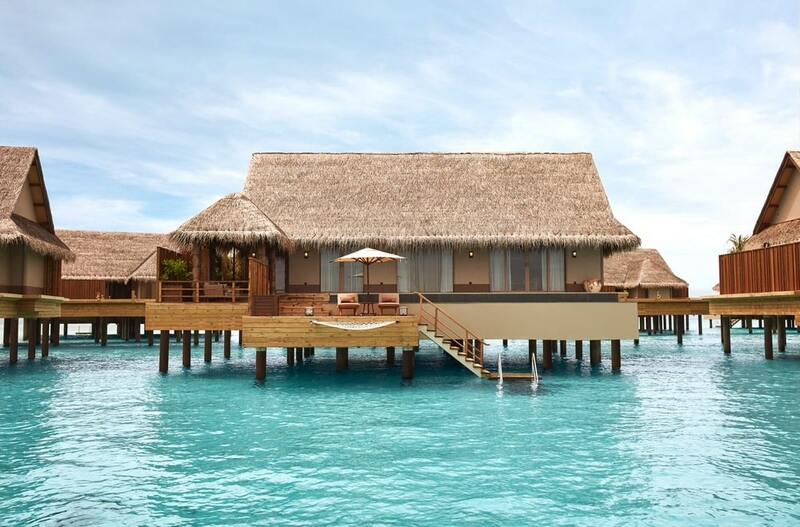 Throughout the resort, the design team has melded traditional Maldivian character and craftsmanship with contemporary flourishes and high-tech wizardry, resulting in an exquisite expression of form and function. 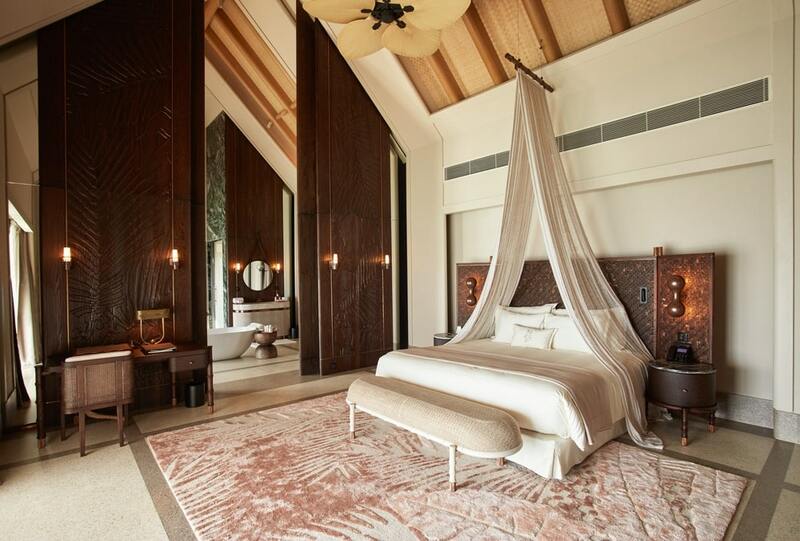 This is most apparent in the high-ceilinged, perfectly proportioned villas, all of which have traditional thatched roofs, sea views, an infinity pool, a juicer, original artwork, and a bedside iPad that controls lighting, music, air conditioning, and even the closing and opening of the drapes. 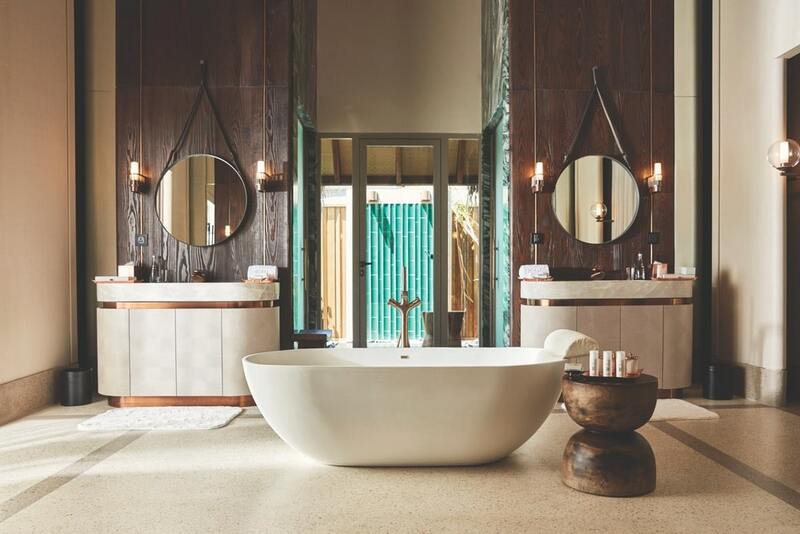 Most also have outdoor tubs and showers—for an unforgettable experience, ask your jadugar for one of Joali’s blissful bath-time rituals, which include a tub filled with scented oils that provide nourishment for both the skin and the soul. And while on the subject of the soul, there’s another experience I’d like to recommend: sunrise yoga in the over-sea studio, where you can perform your salutations while watching the blood-orange sun rise on another perfect day in paradise. Om shanti shanti shanti. 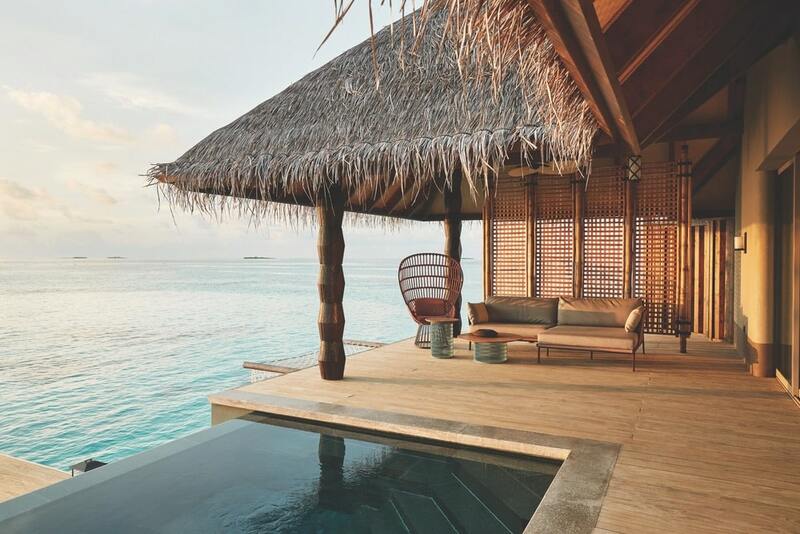 Peace, rest, and tranquility—it can all be found in abundance at Joali. Visit Joali.com to learn more or book your stay.